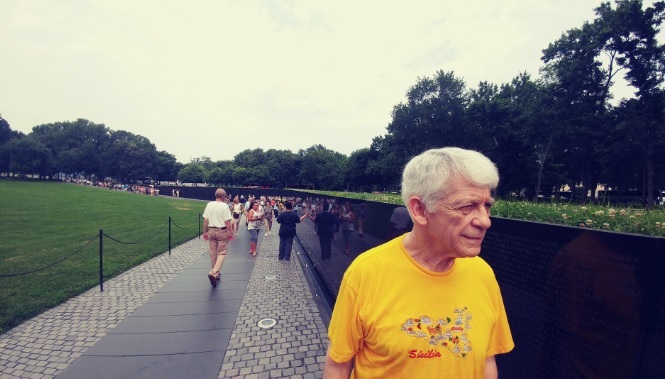 Oregon Veterans Association President, Tony Giardina, helped to honor fallen friends of Oregon Vietnam Veterans by laying two very special tributes at the Vietnam Memorial in Washington D.C.
An Oregon delegation of people honored Miles E. White who was killed in action in July 1967. They honored his memory by leaving a memorial stone with inscribed with his name on it signed by dozens of people. Also laid were permanent flowers to symbolize remembrance and honor. Michael D. Boyer was also remembered. Boyer was killed in action in Vietnam in 1969. 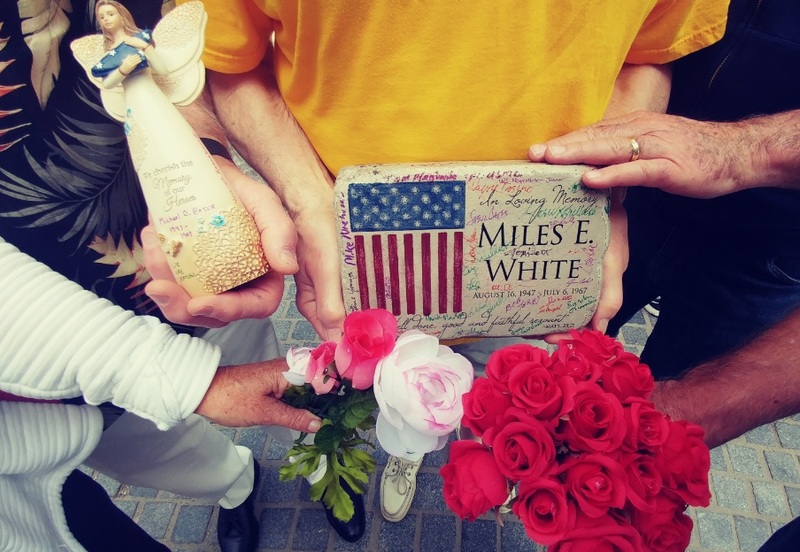 A memorial angel statue with Michael’s name on it was laid at the site of his name at the Vietnam memorial. The angel statue was covered with handwritten notes of remembrance and inspiration and thanks. Here Oregon Veterans Association President is at the Vietnam Memorial wall in reflection. While visiting the wall the team had the chance ot hear stories about Michael Boyer and Miles E. White as shared by Oregon Vietnam Veterans who served with them and remembered them fondly and still remember them to this day. It was encouraging to see other symbols of respect and honor at the Vietnam Memorial that day by other people honoring those servicemen and servicewomen who served our country. Today, people can pay their respects on online by visiting the Vietnam Memorial online and leaving a message.